Laura Goudreau, KG7BQR, Regional Emergency Communications Coordinator for FEMA Region X, said a December 21 Region X interoperability communications exercise on 60 meters went well. FEMA Region X, which consists of Alaska, Idaho, Oregon, and Washington, now has announced that it will hold similar exercises each month in 2017, with all radio amateurs welcome to participate. "We had 48 check-ins, of which 42 were amateurs," Goudreau said of the December event. "It was very successful and also included our first digital test." The "COMMEX" event consisted of check-ins from authorized state, tribal, federal, and Amateur Radio stations to test HF interoperability in case of an emergency or disaster response. The interoperability aspect between federal stations and Amateur Radio licensees was coordinated and authorized by the NTIA and the FCC. The net included a digital component, intended as a one-way broadcast to test FEMA's ability to send messages and for remote stations to receive them. Goudreau said that while there's still room for improvement in the digital area, overall, she was happy with how the exercise played out. During 2017, FEMA Region X will hold a communication exercise (COMMEX) on the third Wednesday of each month, 1500-2100 UTC. The initial exercise will take place on January 18. "The intent of [each] COMMEX is to test and exercise interoperable communications (federal/state/local/tribal/amateur) during a major disaster, where communications infrastructure would be significantly damaged or destroyed," a FEMA Region X announcement said. FEMA Region X will use the call sign WGY910. Others taking part in these exercises will include, but are not limited to, other FEMA stations, SHARES stations, and Air Force and Army MARS stations. All stations are encouraged to participate. The coordinator of ARRL's WD2XSH 600-Meter Experimental Group -- Fritz Raab, W1FR -- said in his latest quarterly report that 630 meters is becoming quite active, with both Amateur Radio and Part 5 Experimental stations taking advantage of the band, which is still not available in the US. "Band activity has been very high, and there are often more WSPR stations -- more than 110 stations -- on 472 kHz than on 80 or 160 meters!" Raab said. WSPR, which stands for "Weak Signal Propagation Reporter," is software designed for transmitting and receiving low-power transmissions to test propagation paths on MF and HF. "In a sense, 630 meters has become a mainstream ham band, in spite of not being authorized in the US," Raab said. To boost activity, a second annual Midwinter 630-Meter Operating Activity Night will take place on February 4-5. Details will be announced. Raab also said in his report that MF propagation appears to be improving as the solar cycle declines. "The paths to VK and JA have remained good," Raab said. 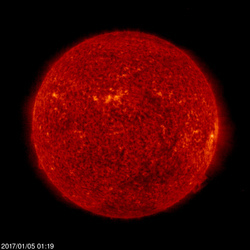 "This was not the case last year, so perhaps it is an effect of the coming solar minimum. Many reports have been received for WSPR transmissions with relatively moderate power. There have been a number of polar and high-latitude openings to LA2XPA from North America. Many long-time operators say that they have never seen anything like that. There have also been a number of openings from the US west coast deep into Europe." WD2XSH Experiment participant Ralph Wallio, W0RPK, employs a homebrew shielded loop for receiving on 630 meters. Countries now permitting Amateur Radio access to the 630-meter band include Germany, Greece, Malta, Monaco, Norway, Philippines, Czech Republic, Ireland, Switzerland, New Zealand, Finland, Spain, France, Poland, Bulgaria, Canada, Vietnam, Japan, Cayman Islands, Reunion Island, and Hungary. "It appears that more than 100 DXCC entities have permission to operate on 630 meters," Raab said in his report. In April 2015, the FCC proposed a new secondary 630-meter allocation at 472 to 479 kHz to Amateur Radio, implementing decisions made at World Radiocommunication Conference 2012 (WRC-12). At the same time, the FCC allocated a new LF band, 135.7 to 137.8 kHz (2,200 meters), to the Amateur Service on a secondary basis, in accordance with the Final Acts of WRC-07. No US Amateur Radio operation will be permitted in either band until the FCC determines the specific Part 97 rules it must frame to permit operation in the new bands. That process is ongoing at the FCC, but the change in administration and the consequent resignation of the current FCC chairman has put FCC action on any proceeding on hold, at least until a new chairman is in place. The FCC has denied a request by Expert Linears America LLC to waive §97.317(a)(2) of the Amateur Service rules limiting amplifier gain. Expert, of Magnolia, Texas, distributes linears manufactured by SPE in Italy. Its waiver request, filed in June, would have allowed Expert to import an amplifier capable of exceeding the current 15 dB gain limitation as it awaits FCC action on its April petition (RM-11767) to revise the same Amateur Service rules. That petition remains pending. Expert has asserted that there should be no gain limitation on amplifiers sold or used in the Amateur Service. Most commenters supported Expert's waiver request, but a couple of commenters -- including FlexRadio, which supports a rule change -- expressed concerns about granting a waiver to Expert alone. "In light of the conflicting comments regarding the desirability of eliminating the 15 dB limitation, we conclude that waiving the limitation at this stage of the rulemaking proceeding would prejudice the rulemaking proceeding and prematurely dispose of commenters' concerns," the FCC said in denying the waiver. "Moreover, we agree with FlexRadio that granting Expert's waiver request while the rulemaking petition remains pending would provide an unfair market advantage for one equipment model over other manufacturers' RF power amplifiers that would still be limited by [the existing rules]." The FCC said it would rather give full consideration to "the pending issues" and apply the result of the rulemaking proceeding to all Amateur Radio Service equipment. The Commission said rule waivers "generally" are not warranted "merely to accommodate technical parameters that are based solely on harmonization with the manufacturer's products available abroad." In its April rulemaking petition, Expert maintained that the 15 dB gain limitation is an unneeded holdover from the days when amplifiers were less efficient and the FCC was attempting to rein in the use of Amateur Service amplifiers by Citizens Band operators. Although the FCC had proposed in 2004 to delete the requirement that amplifiers be designed to use a minimum of 50 W of drive power -- and subsequently did so -- it did not further discuss the 15 dB limit in the subsequent Report and Order in that proceeding. Read more. Super Typhoon Nock-Ten (called "Nina" locally) interrupted Christmas for radio amateurs in the Philippines, who responded to provide communication for the disaster. The category 4 storm claimed six lives, and more than 380,000 residents were evacuated as the storm cut a path through the Philippines. Warnings were posted for flooding and mudslides. The slow-moving typhoon made landfall seven times from Sunday evening until mid-day on Monday. The Philippines Amateur Radio Association's (PARA) Ham Emergency Radio Operations (HERO) net activated in advance of the storm, which cut power to five provinces, downed trees, caused widespread damage, and dimmed the festive occasion in Asia's largest Roman Catholic nation. "A truly commendable job was done by many radio amateurs, who not only gave up their traditional Christmas activities, but some had to stop transmissions because they were in the storm path," Jojo Vicencio, DU1VHY, said. Amateur Radio volunteers used both HF and VHF during the storm response. Vicencio said that as the typhoon first made landfall in Catanduanes, some network stations were forced off air by high winds in excess of 120 MPH. Stations gradually returned to the air to report extensive damage in their areas. HERO reported that as the typhoon swept along the Southern Tagalog region, it made landfall several times. Marinduque also was badly hit. "It created a large swath of destruction and debris -- uprooted and fallen trees and posts, landslides, impassable roads, and other damage," Vicencio said. "Even our own HEROs were not spared." Net participants were able to compile damage reports and relay them to authorities, some of which had tuned to the HERO net. "Restoring Old Radios" is the topic of the latest (December 29) episode of the "ARRL The Doctor is In" podcast. Listen...and learn! The Boy Scouts of America (BSA) have updated the requirements for the Radio Merit Badge for 2017, although a formal announcement is pending the publication of the 2017 Boy Scouts Requirements pamphlet. A new option for the Radio Merit Badge is Amateur Radio Direction Finding (ARDF). ARRL ARDF Coordinator Joe Moell, K0OV, said he's "really excited" about the move, and he credited Jamboree on the Air Coordinator (JOTA) and K2BSA trustee Jim Wilson, K5ND, with being the "spark plug" behind the ARDF addition. "Jim visited a training session at the USA ARDF Championships in Texas last April and realized what an excellent activity that on-foot hidden transmitter hunting can be for Scouts," Moell recounted. "Working with Brian Coleman, KB0MAP, Jim authored the new ARDF Radio Merit Badge syllabus, which was then reviewed by several leaders of US ARDF community." The Radio Merit Badge ARDF option combines orienteering and foxhunting, and opens a new interactive component to this program. Other new Radio Merit Badge options include cellular telephones and different types of radio modulation. Key requirements being dropped from the Radio Merit Badge include open, closed, and short circuits, as well as schematic symbols and components, because these are covered in the Electricity and Electronics Merit Badges. The BSA also made some minor editorial changes and reordered requirements for the Amateur Radio option. The radio broadcasting option now includes internet streaming, regulations, and power levels. A medium-wave and shortwave listening option includes both types of listening, as well as listening via streaming services on a smartphone. Amateur Radio on the International Space Station (ARISS) in late December announced a "notable contribution" from the Quarter Century Wireless Association (QCWA) to help support the development and certification of new radio hardware for the International Space Station. ARISS-International Chair Frank Bauer, KA3HDO, thanked the QCWA for its contribution and said that it arrived at a most critical time. "Our radio system design is nearly complete, and we're about to start fabrication and the very expensive hardware certification effort," he said. "It is fantastic to see Amateur Radio groups like QCWA donating to ARISS, as it demonstrates to our larger benefactors and potential sponsors that the Amateur Radio community has 'skin in the game' and is willing to sacrifice to further the ARISS cause." QCWA President Ken Oelke, VE6AFO, expressed the hope that the donation might inspire other groups and individuals to follow suit. ARISS reports its hardware team has made good progress over the past year in developing the new radio system. But the October failure of the 17-year-old Ericsson VHF handheld in the ISS Columbus module made completion of the project far more urgent. The failure shut down 2-meter APRS operation, and ARISS operations must now be carried out using an Ericsson UHF handheld in the Russian Service Module. This requires astronauts to make a round trip from one end of the ISS to the other in order to carry out 10-minute school contacts. ARISS-International Treasurer Rosalie White, K1STO, said, "QCWA members now understand it's important to hams to have the ARISS radio for APRS and other modes, and it's caused a number of hams and their local clubs to donate toward helping to get the radio system upgraded." 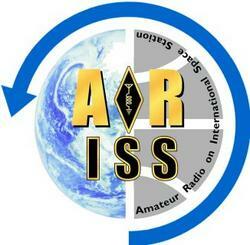 ARISS welcomes donations toward the hardware upgrade project via the AMSAT website. Click on the "ARISS Donate" button, or visit the donation page on the ARISS website. Contributions may be tax deductible. Those contributing $100 or more will receive an ARISS Challenge Coin. Contact Frank Bauer, KA3HDO, if you or your organization wishes to make a more substantial contribution. The ARRL Board of Directors' Executive Committee has approved Education and Technology Program (ETP) grants to schools in Illinois, California, Ohio, and Connecticut. The funds will help three of the schools to establish Amateur Radio club stations by providing the necessary equipment, and aid one school in getting its radio club off the ground. Zeigler-Royalton High School in rural Zeigler, Illinois; Sato Academy in Long Beach, California, and Pickaway-Ross Career & Technology Center in Chillicothe, Ohio, will receive station grants, while E.O. Smith High School in Mansfield, Connecticut, will receive a progress grant, enabling it to build upon the school's burgeoning Amateur Radio program. Sponsors for all four grants are alumni of the ARRL Teachers Institute on Wireless Technology, who are implementing Amateur Radio as part of their school's curriculum. Teacher Miroslaw Klapyk, KC1GBT, at E.O. Smith High School, took his initial Amateur Radio license test during a Teachers Institute session this past summer, and promptly upgraded to Amateur Extra. Klapyk teaches physics to more than 50 students, and he plans to spend a week or two toward the end of the school year focusing on wireless communication, with an eye toward getting more students interested in the radio club. But, he told ARRL, that interest is already there. "I never advertised our club," he said. "Yet since the start of the school year, we went from one to eight members. They just keep coming." 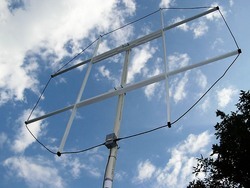 The school currently has some Amateur Radio station gear and the beginnings of an antenna system. The Pickaway-Ross Career & Technology Center in Chillicothe, Ohio, requested Amateur Radio station equipment to augment the school's engineering program and to attract other interested students to wireless and related technology. "The establishment of an Amateur Radio station would give impetus for students to become radio amateurs," with a view toward getting them involved in public service communication, teacher David Pentecost, KC8WEB, said in the school's application. Pickaway-Ross, he said, is "committed to helping underserved students in the Appalachian region of southern Ohio achieve success in a variety of technical fields." The Sato Academy Amateur Radio Emergency Communication team's project in part focuses on establishing a demonstration station to train youngsters in using Amateur Radio for emergency communication. The school, which received a station grant, also wants "to help students learn to build and create circuit boards, such as those used in the Teachers Institute," teacher Devon Day, KF6KEE, said in her school's application. At Zeigler-Royalton, teacher Lance Newman, KD9GOY, said he's hoping to see more students become interested, pass their license exams, and spend time on the radio and working with the equipment. Newman said in the school's application that he began the process of establishing a ham radio station at the school this fall, "to provide an extracurricular outlet for students interested in radio communication technologies." But he's hoping that Amateur Radio will offer other educational opportunities as well. Ham Radio Science Citizen Investigation (HamSCI) scientists were among those taking part in the fall meeting of the American Geophysical Union (AGU) in San Francisco earlier this month. The December 11-17 gathering, which attracted some 24,000 geoscientists, offered an opportunity for HamSCI scientists to present Amateur Radio-based research, discuss possibilities for upcoming experiments, and network with members of the citizen science and space science communities. Two young university-affiliated radio amateurs -- Nathaniel Frissell, W2NAF, a post-doctoral research associate at the New Jersey Institute of Technology (NJIT), and Virginia Tech (VT) undergraduate researcher Magda Moses, KM4EGE -- offered poster presentations at the AGU meeting. Frissell said he feels the radio amateurs made a good impression. Nathaniel Frissell, W2NAF, with his poster at the Fall AGU meeting. "As I go to these meetings and tell different people about the HamSCI work, I find people that either want to contribute or that I think would have something important to say," Frissell told ARRL. "Once I identify these people, I invite them to our HamSCI Google e-mail group, where we can discuss possible experiments or ways to use ham radio for science. We now have almost 60 scientists and ham radio operators in the group." Moses called the Fall AGU Meeting "the most scientifically diverse conference" she's ever attended, with many sessions and presentations encompassing a variety of disciplines. "This diversity was especially evident in the citizen science sessions and offered a unique opportunity for networking before the eclipse," she told ARRL. "It was also interesting to see similarities to HamSCI in some aspects of other citizen science projects." The poster presentation of Magda Moses, KM4EGE, offered an overview of her HF propagation experiments. Moses's poster presentation, "Characterizing the Ionosphere Using a Commercial Off the Shelf Software Defined Radio System," described propagation experiments between Blacksburg, Virginia, and Newark, New Jersey, aimed at better understanding the use of HF links for characterizing the ionosphere during the total solar eclipse later this year. Moses first presented ray-trace diagrams through an eclipsed ionosphere, and then used propagation test data to show that 80 meters was most useful for identifying diurnal variations along the southwest Virginia-to-New Jersey signal path. During a general HamSCI meeting, members talked about rules for the upcoming SEQP, installation of additional RBN receivers, use of data from other networks such as WSPRNet, the design of better measurement techniques, and possibilities for future HamSCI experiments. Plans for Hamvention 2017 include a display table and the program for a 90-minute ARRL-sponsored forum. Read more. Special Call Sign Prefixes Available to Celebrate Canada's Sesquicentennial: Radio Amateurs of Canada (RAC) has secured permission for all Canadian radio amateurs to use special call sign prefixes to celebrate the 150th anniversary of Canada's Confederation during 2017. Starting on January 1, radio amateurs and clubs with VA-prefix call signs may use CF instead, and those with VE-prefix call signs may use CG instead. Amateurs and clubs with VO-prefix call signs may substitute CH instead, while those holding VY-prefix call signs may substitute CI. Use of the special prefixes is optional, and Canadian radio amateurs may choose if and when to use the special prefix at any time during the year. VY1AAA, the Yukon Canam Contest Club, will mark the sesquicentennial with special call sign XK150YUKON from January 1 until March 1. For the rest of 2017, VY1AAA will operate using either CI1AAA or VY1AAA. Tad Cook, K7RA, Seattle, reports: The sun was quieter this week compared to the previous 7 days, and there were no sunspots on Thursday, Sunday, Monday, and Wednesday. Geomagnetic numbers were also lower. The average daily sunspot number decreased from 7.6 to 4.7, average daily solar flux declined from 73.6 to 73.1, and the average daily planetary A index went from 17.3 to 9.3. The average mid-latitude A index dipped from 11.6 to 6.3. The latest forecast sees solar flux at 72 on January 5; 71 on January 6-10; 72 on January 11-12; 76 on January 13-14; 77 on January 15-19; 75 on January 20-24; 74 on January 25-27; 73 on January 28-February 2; 75 on February 3-7; 76 on February 8-10, and 77 on February 11-15. The prediction for planetary A index sees 25, 18, 15, 10, and 6 on January 5-9; 5, 12, 10, 5, and 10 on January 10-14; 5 on January 15-16; 25, 20, 25, and 18 on January 17-20; 20 on January 21-22; 10 on January 23; 5 on January 24-26; 12, 15, 10, 12, and 18 on January 27-31; 24, 22, 15, and 8 on February 1-4, and 5 on February 5-9. F.K. Janda, OK1HH, delivered his geomagnetic predictions a day early this week, for January 6-February 1: The geomagnetic field will be: Quiet on January 8-10, 16, 24-25; mostly quiet on January 11-12, 15, 26, 30; quiet to unsettled on January 23, 27, 29; quiet to active on January 6-7, 13-14, 17-18, 28, 31; active to disturbed on January 19-20, (21-22), February 1. Amplifications of the solar wind from coronal holes are expected on January 6-8, 17-20, 25, (27-31) and February 1. Numbers in parentheses mean lower probability of activity enhancement. Sunspot numbers for December 29-January 4 were 0, 11, 11, 0, 0, 11, and 0, with a mean of 7.6. The 10.7-centimeter flux was 73.4, 73.6, 73.5, 72.5, 73, 73.4, and 72.4, with a mean of 73.6. Estimated planetary A indices were 5, 4, 12, 14, 7, 12, and 11, with a mean of 17.3. Estimated mid-latitude A indices were 2, 2, 10, 9, 5, 8, and 8, with a mean of 11.6.